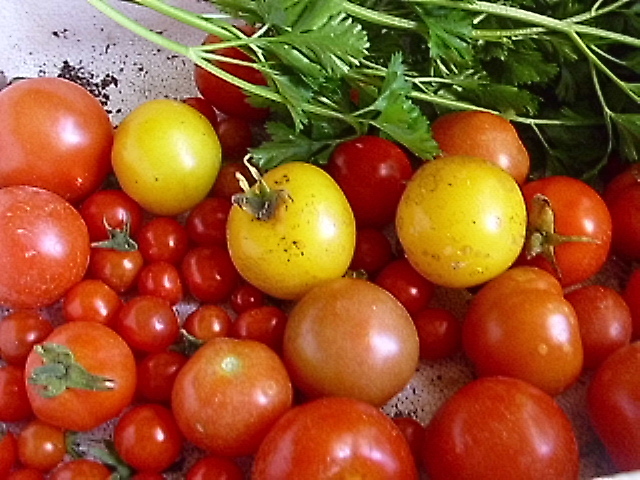 Arigna Natural Gardens » Bad year for tomatoes! Ferris and Sam’s reed bed! 1 comment to Bad year for tomatoes! Our tomatoes were not quite right from the beginning and we’ve never had a problem before. We thought we had done something wrong but obviously not.I can understand the not ripening as there wasnt enough sunlight but ours looked ill from day one! Luckily we managed to bottle the few that survived for future use. Pizza anyone?